Are you looking for new comedy items and gags to perform with assistants? What about ideas for prizes? How about incredible comedy routines with props that break and fall apart? All of which you can construct easily and inexpensively within an afternoon - from balloons, wands, bells, cards to hankies. The original book was written a few years ago and has been completely revised, edited and updated. 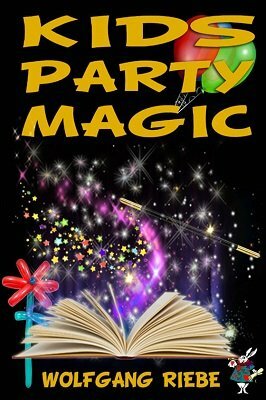 Plus you receive a download link for the Cool Magic Tricks book (with full print rights) which your digital printer can print as a prize for the birthday child. If that's not enough, you also receive the links to 3 Teach-In videos on Children's magic, including Wolfie's Kids Magic, Xmas Magic and a Balloon Modelling video that teaches 25 single balloon figures. Many of these original tricks and routines would cost ten times the price of this ebook from a magic dealer. An incredible value package that will benefit every children's magician!